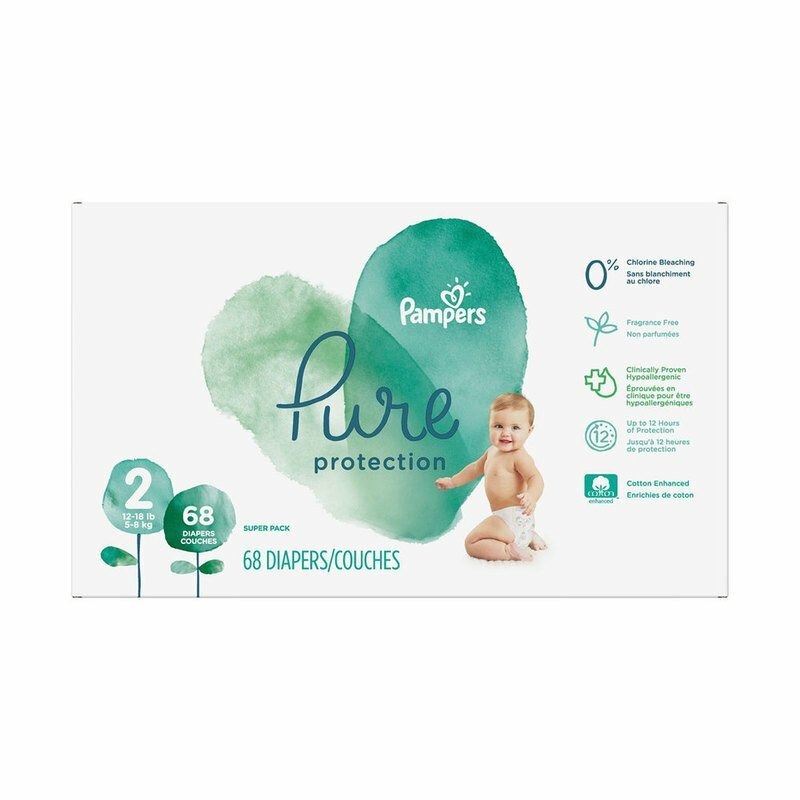 Crafted with premium cotton, soft plant-based fibers, and other thoughtfully selected materials-- they're clinically proven better than Honest Diapers for baby's delicate skin. Designed to be gentle and protect the purity of your baby’s precious skin. Our premium cotton is responsibly sourced and grown in the USA. Our supplier is a member of the Cotton LEADS program which promotes sustainable sourcing and quality. Because your baby deserves skin-loving care without compromises, Pampers Pure Protection delivers up to 12 hours of trusted leak protection. Made with features you and your baby will love, including Pampers reassuring Wetness Indicator.